Hi @Abbisgrandma. 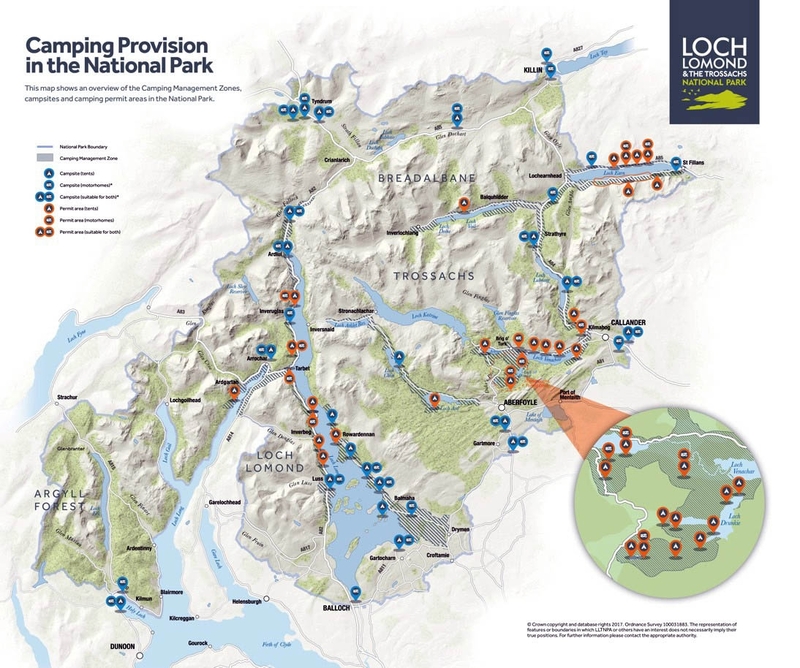 The image below details the new camping management zones within the Loch Lomond and The Trossachs National Park. If you are to park in a lay by overnight within the management zone, then you will have to purchase a permit via this link http://www.lochlomond-trossachs.org/things-to-do/camping/ at a cost of £3. Hope this helps. That's brilliant, thank you. I'll get that sorted.